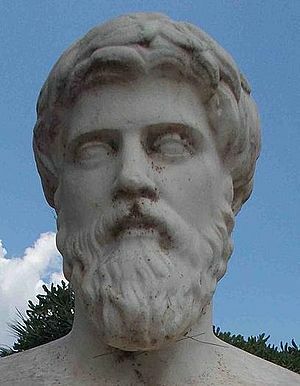 Is not a history, and Plutarch wants his audience to know that. Is not necessarily exhaustive. It may not (and probably won’t) tell every story in a person’s life. Focuses on the person, not events. Recounts those events and (possibly off-handed) remarks that reveal the subject’s true character. So according to Plutarch, a biography is not the history of a person, but rather “a word portrait” of a life. If he had meticulously recorded every event in the subject’s life, but neglected to tell us what motivated that person, he would consider it a failure. You can’t know a person without knowing what’s going on in his or her mind. In modern terms, we’d call this psychological motivation. You may recall that the reason the so-called first quest of the historical Jesus collapsed was that German scholars concluded we could not write a life of Jesus. Even Mark, which, according to the developing consensus in the late 19th and early 20th centuries came first, arose out of the community of believers, and was completely colored by the theological concerns of that community. Moreover, the gospels are devoid of motivation. We don’t know, for example, why Jesus in Luke 9:51 “set his face to go to Jerusalem,” other than it was time for him to do so. We don’t know why he showed compassion at one point, or anger the next. The evangelists can’t agree as to whether Jesus struggled over the imminent crucifixion (the Synoptics), or whether he was completely in accord with it (John). In either case, we don’t know why. Given these facts, it’s impossible to imagine that Plutarch would consider the gospels biographies, even in the most general sense of the word. And if he wouldn’t, why should we? Posted on 2017-06-07 00:17:45 GMT+0000 by Tim Widowfield. This entry was posted in Ancient historiography, Biblical Studies, Greco-Roman Biography and tagged Ancient biographies, Ancient historians, Ancient History, Genre of the Gospels, Plutarch. Bookmark the permalink.